Home / -News- / Neil Young / Neil Young and DRAM Have Collaborated on Song For the Movie "Bright"
Neil Young and DRAM Have Collaborated on Song For the Movie "Bright"
Neil Young and DRAM have recorded the song ‘Campfire’ for the movie Bright. 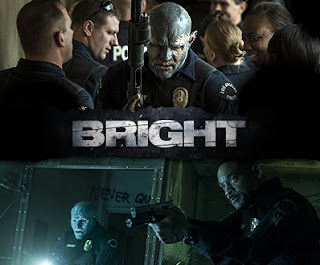 Bright, starring Will Smith and Joel Edgerton, is an original production for Netflix. About Bright: Set in an alternate present-day where humans, orcs, elves, and fairies have been co-existing since the beginning of time. Bright is genre-bending action movie that follows two cops from very different backgrounds. Ward (Will Smith) and Jakoby (Joel Edgerton), embark on a routine patrol night and encounter a darkness that will ultimately alter the future and their world as they know it. The movie soundtrack features new original songs for the movie from A$AP & Tom Morello, Meek Mill, YG & Snoop Dogg, Logic & Rag’n’Bone Man and Ty Dolla $ign & Future. Bright was made for Netflix with a $90 million budget. It will premiere worldwide on December 22.